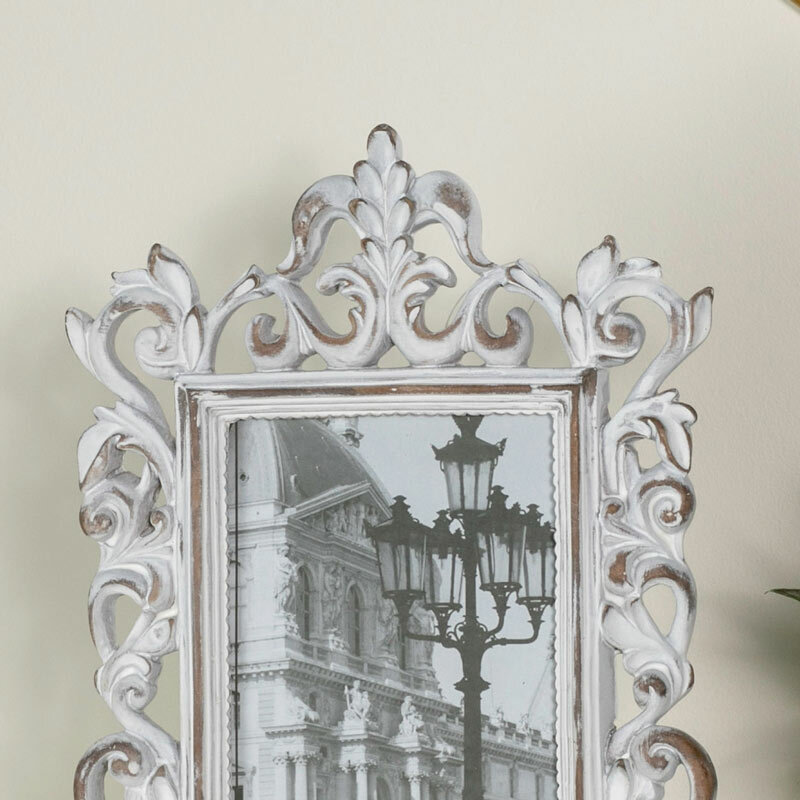 Proudly display those memorable photos in beautiful shabby chic style with this stunning photograph frame. The aged look emphasises the vintage French styling. Elaborate carved detailing will frame your pictures beautifully with the distressed finish adding some rustic charm. Perfect for holding precious photos of wedding, birthday, anniversary occasions. 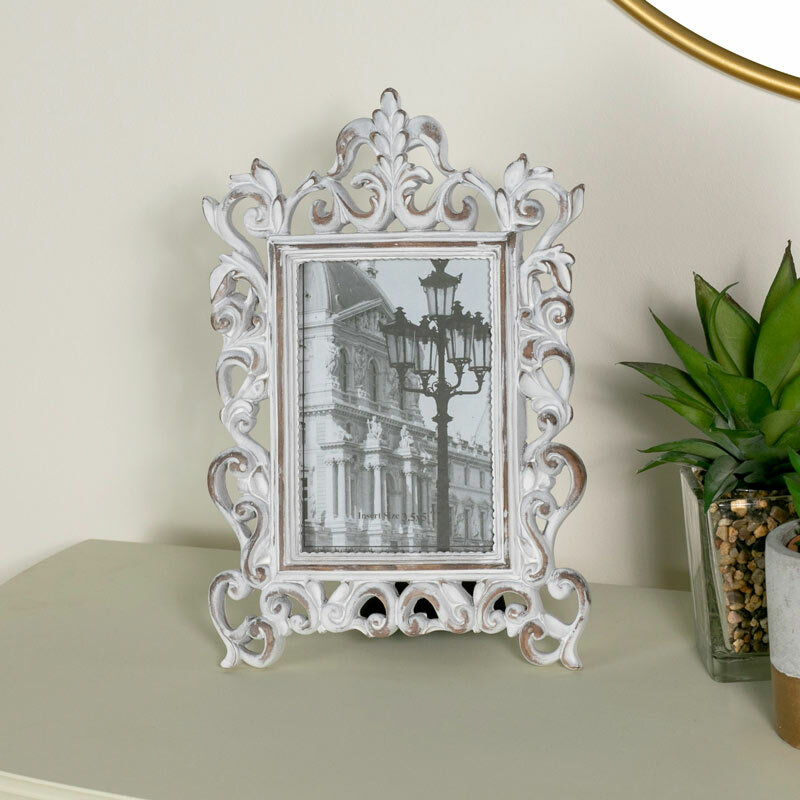 Proudly display those memorable photos in beautiful shabby chic style with this stunning photograph frame. The aged look emphasises the vintage French styling. Elaborate carved detailing will frame your pictures beautifully with the distressed finish adding some rustic charm. Perfect for holding precious photos of wedding, birthday, anniversary occasions. With a great range of home gifts and accessories to choose from, we have a fabulous choice for you to pick that perfect present for any occasion.